Disclaimer: I am not stating church policy in this article. I am presenting possible scenarios to consider. If a gay couple came to our church would they be accepted here? We did briefly talk about this Sunday but feel it is important to reiterate. Instead of leading with our conclusions I believe that people need to know the basis for how we accept anyone. We accept people on the same basis that God accepts them. God relentlessly loves everyone in spite of who we are because He cannot accept any of us the way we are since He is holy and we are not. Secondly, God only accepts us only when we receive and believe in His Son and His substitutionary death on the cross. In fact the reality is that God’s love never saves us. His love is the motivation to act in order that we can be redeemed but any act of love, by itself, does not save us. Only the death of Christ is sufficient to provide salvation. If a gay couple came to our church would they be allowed to be members? The answer is that it depends. Anyone can attend our services or participate in our activities if they are seeking answers to life or looking for encouragement in life.  We also do not have a long checklist that a person has to agree with or an extensive doctrinal statement they need to sign off on to affirm covenant community (membership) at Oak Grove Church. The reason for this is that biblically community we see people making a genuine faith decision for Christ and baptized and then absorbed into the faith community (Acts 2:37-41). New believers were not given a long statement of faith to agree to, likely because they would have no idea if it was correct or not. Once in the community they would be taught doctrinal truth and the way they should live. So our leaning here is if a person gives an authentic testimony of their faith in the Lord Jesus Christ for the forgiveness of their sin and are baptized then we believe, biblically, that is the qualification to be part of a local church. If they are living a gay lifestyle that will lead to a greater discussion so that we are all clear about understanding each other and they are clear about our understanding of the Scriptures. But does this not leave us vulnerable?We are setting up policies in our constitution and by-laws that make it clear our values, biblical convictions and doctrine. But in this particular case I believe it would be important to be up front and honest about our position related to marriage and sexual holiness beforepeople affirm covenant community. There are certain sine-qua-non issues that have to be agreed to just to claim being a Christian. We will respect people as human beings, created in the image of God, but we can’t change our convictions about our understanding the Scriptures. But this always needs to be discussed and interacted on in relationship with people. We would need to communicate how we believe God accepts us and specific issues like sexual holiness. We do not want to blindside people with sensitive issues by ignoring the vulnerability that exists with people but we don’t have to be apologetic about how we see the truth of Scripture. Would a gay person or couple be allowed to serve in our ministries? I am assuming here that a gay person or couple would claim to be Christians. Being that as it may, it is a tricky question to answer in a short space of time. There are numerous variables to address. If a gay person actually chose to be part of our community I don’t see there would be a problem with helping or volunteering in our activities and ministries. We need to be able to take every person and allow them to serve the Lord and others. However if a gay person wanted greater privileges of being on a leadership team for most of our ministries there are higher levels of criteria to qualify for those roles. Clearly some of these criteria could require a person to personally affirm convictions about sexual holiness that match our values, a willingness to support our biblical stand on marriage and be willing to match these values with appropriate life adjustments. If a gay person desire to be a teacher then the standards would increase again and for all practical purposes they would need to affirm our doctrinal statement and their life habits would need to support our convictions about marriage and sexual holiness…much like it would for anyone else who desired these roles.